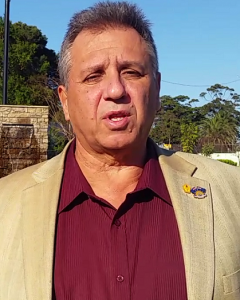 Leppington and Edmondson Park commuter car park advocate MICHAEL ANDJELKOVIC argues that Gladys Berejiklian and the NSW Liberal Government will only have themselves to blame if they lose local seats at the next state election. The car parking crisis in South West Sydney is a perfect example of the NSW State Government not listening to the people. When I started the car parking crisis petition I thought that this would be a simple and straightforward issue to resolve this matter which had been going for over two years at the time (back in March 2018). The problem as I saw it was that the NSW Liberal Government was not listening to the local Labor Party MP. So I kicked of a community based campaign on www.change.org/p/increase-commuter-parking-at-edmondson-park-and-leppington-train-stations thinking that if I obtained 5,000 signatures and presented the petition to the minister then he would commit to build a new multi level car park as it was a request from the community not the Labor MP. It was a great theory, but it hasn’t worked in practice. The NSW Liberal Government still refuses to listen to the people of South West Sydney. What is the problem now? Is it because the NSW state Labor Party was quick to announce that it would commit $18 million to build a new multi level car park at Edmondson Park? In the mean time I am getting emails and letters from the office of the minister for transport saying that they are looking at bicycle paths, pedestrian walkways and bus routes. So what is the message from the NSW State Liberal Government to the voters in the South West? Could it be: get on your bike, walk or catch a bus as there will be no more parking provided? Every voter in the south western suburbs should sign the car parking crisis petition to send a message to Macquarie Street. What will it take to get a response from the current government ? 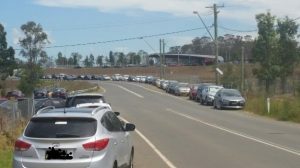 The Liverpool and Macarthur area has six state electorates affected by this car parking crisis – Liverpool, Holsworthy, Macquarie Fields, Campbelltown, Camden and Mulgoa. Three seats are held by the Liberal Party and three by Labor and if things keep going the way that they are currently I doubt that that will be the case after the NSW state election next March. Certainly after six months and more than 6,700 signatures the petition isn’t having much effect – perhaps I might have to become a candidate in the next election and get elected so I can advocate for the people directly in the State Parliament as it seems that the three Liberal MPs in the seats of Holsworthy, Camden and Mulgoa aren’t prepared to do much at all to resolve the car parking crisis in the South West of Sydney. Contributions from readers are welcome for this column.